There are few portrait subjects more interesting than sisters. 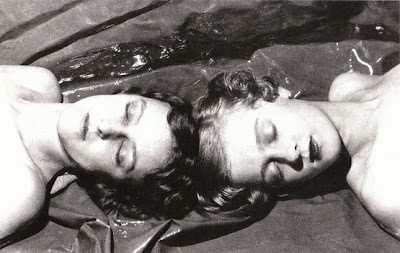 Thanks to their physical likeness and their close familial bond, sisters seem made for portraits. Almost all siblings are captured in photographs or paintings during their youth. My sister and I were photographed twice during our teenage years. In one photo, we are posed in our living room while wearing our party dresses. The other photo was taken outside and was far more casual. But the portrait for which my sister and I have yet to pose is the glamour shot of us as adults. Something tells me this portrait may never happen, either. 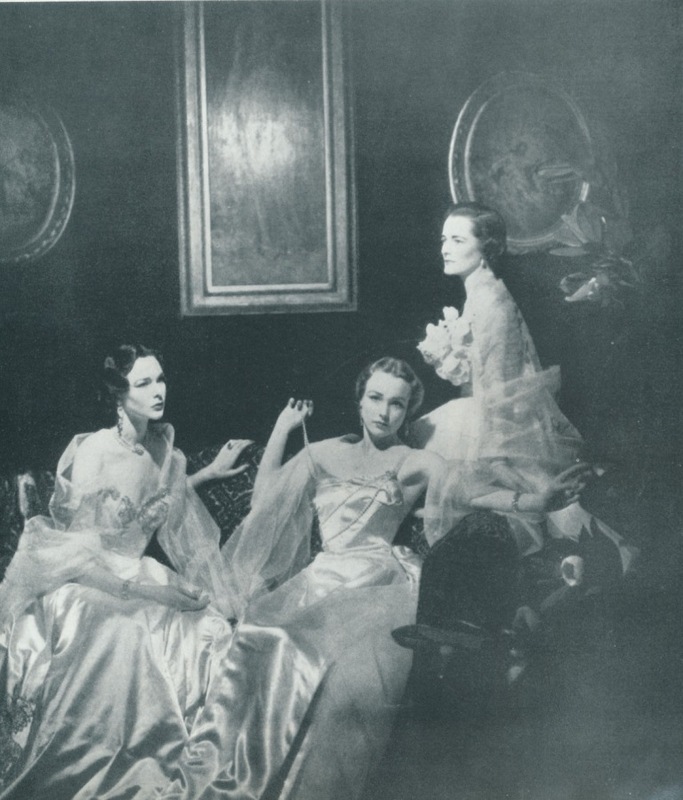 Take a look at the portrait above, a 1950 Cecil Beaton photograph that shows the Wyndham-Quin sisters. The photo is rather grand, but there is a historical precedent for it: the photograph is meant to emulate the famous John Singer Sargent portrait of the Wyndham sisters who were related to the Wyndham-Quin sisters above. 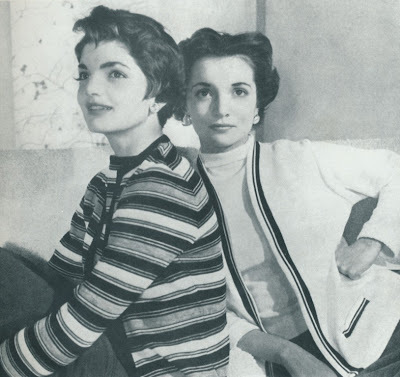 In fact, Beaton took many photos of sisters, most notably his own sisters, Nancy and Baba. Below, you'll see a sampling of some prominent sister acts. I didn't bother to include photos of the Cushing or Miller sisters because we're all familiar with those photos. 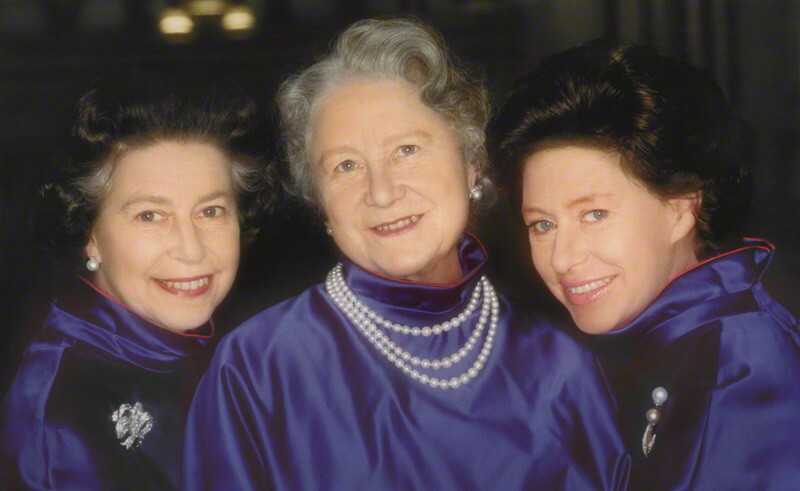 But I have to say that my favorite of all of the portraits is that of Queen Elizabeth with the late Queen Mother and Princess Margaret. They were quite the regal vision in purple satin, don't you think? 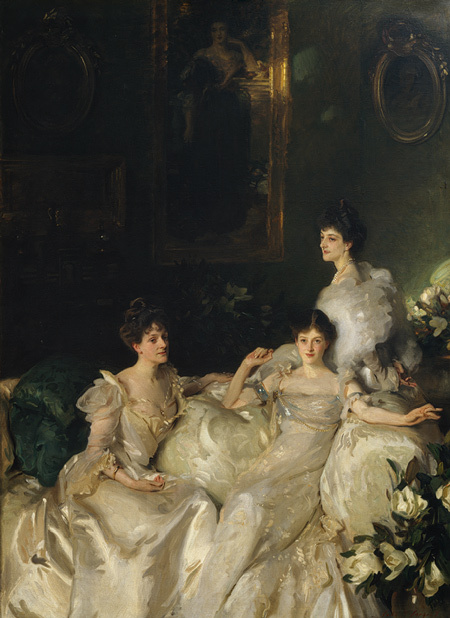 "The Wyndham Sisters" by John Singer Sargent, 1899. Collection of Metropolitan Museum of Art. Mrs. Stavros Niarchos and Mrs. Aristotle Onassis, the Livanos sisters. Photograph by Henry Clarke, 1957. Mrs. John F. Kennedy and Mrs. Michael T. Canfield, also known as the Bouvier sisters, captured in a 1955 photograph by Horst. The Princess of Wales (later Queen Alexandra) and her sister Dagmar (later Marie Feodorovna, wife of Alexander III of Russia), two daughters of Danish king Christian IX. Photograph circa 1873. 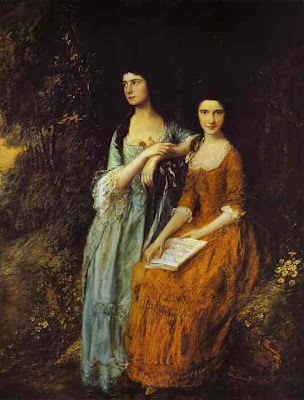 "The Linley Sisters" by Thomas Gainsborough, 1772. Collection of Dulwich Picture Gallery, London. 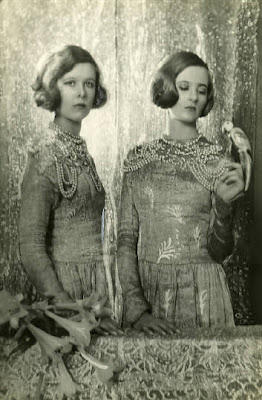 A portrait of Nancy and Baba Beaton by Cecil Beaton, c. 1925. Also by Beaton is this photograph of two Bright Young Things, twins Zita and Teresa Jungman. 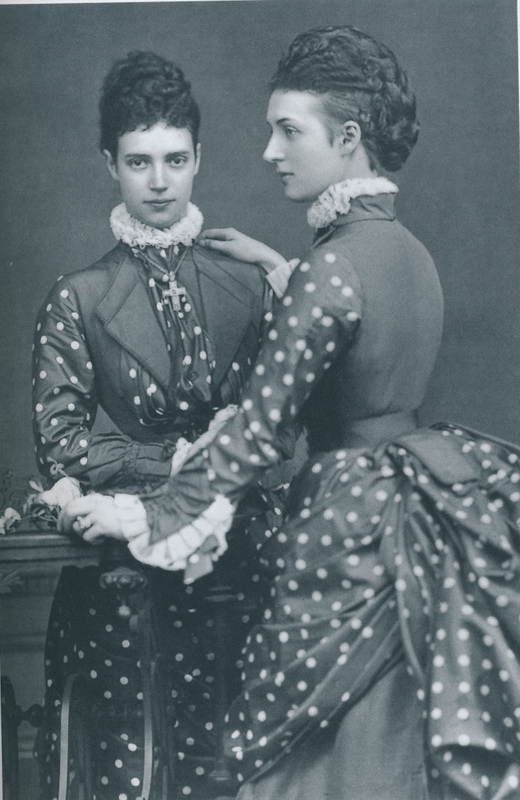 A portrait of sisters Thelma Furness and Gloria Vanderbilt. 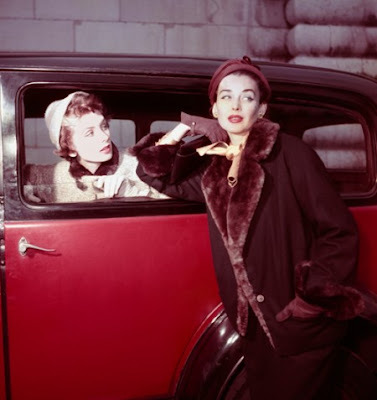 Model sisters Suzy Parker and Dorian Leigh. A Norman Parkinson photo of Queen Elizabeth with the Queen Mother and Princess Margaret, 1980. I love the originality of this post - and I also love the idea, since I have three girls and the 'sister photos' seem to be getting fewer and fewer as the years go on (thank goodness for the annual Christmas picture!). I bet you have some lovely portraits of your girls! Have a Happy 4th as well! 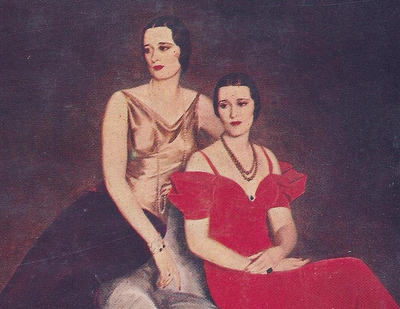 Let's not forget the Mitford sisters. I thought about including them but chose not to as so much has already been written about them. All beautiful I adore the Sargent painting and the Queen Elizabeth...Parkinson is priceless, they all look so at ease and happy! Thank you Karena! Happy Fourth! I love this post Jennifer. The pictures are really touching. I'm so glad you enjoyed it, Ellen. Have a Happy 4th! The sisters of three look like the three graces. I did not have a sister, but am drawn to the images. I have a statue of the three graces in my garden. Thankfully I can see it from my windows as it has been hot, hot, hot here in Kansas. Stay cool on the 4th. ps: Someone wrote a story carried in our local paper: "Why would God put the 4th of July on a Wednesday?" It still makes me chuckle. That is hysterical. Since it falls on a Wed, it does make celebrating a little difficult! I love this post, too; and I love my sister. One Christmas card photo session in particular I remember happened when we were both teenagers, and we were on the brink of killing each other at that moment, I mean flat-out sister-cide. I have no idea what about but we were both spitting mad. In that picture, however, we look like two adoring little angels. I laugh every time I look at it. That is vanity for you. One of my favourite paintings is John Singer Sargent's The Daughters of Edward Darley Boit. 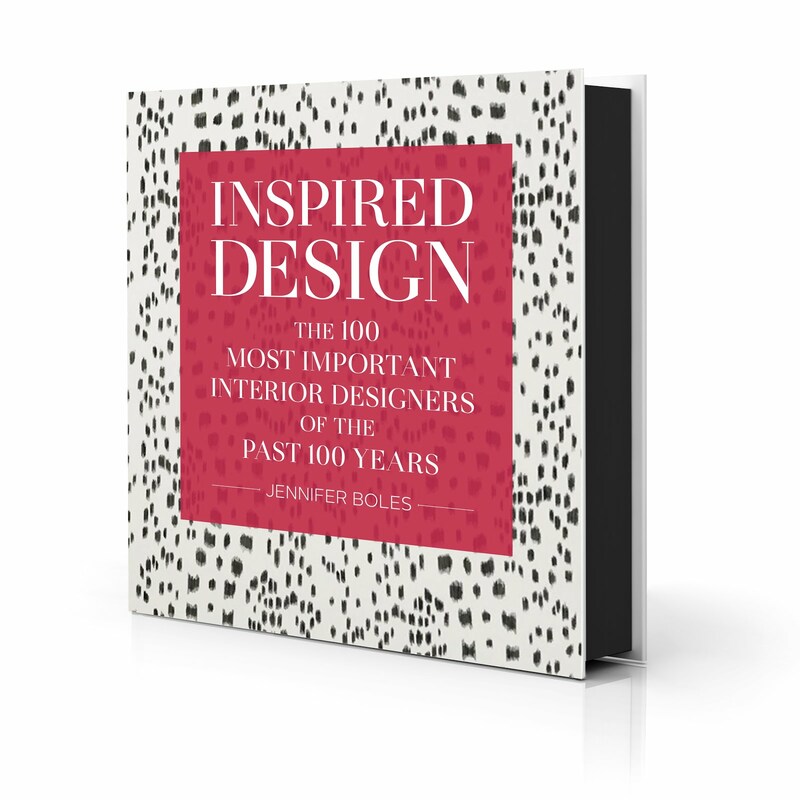 I used to visit it regularly in Boston (Museum of Fine Arts) whilst studying Interior Design. Several years ago, there was an exhibition of his work in London. Seeing it again felt like a reunion. 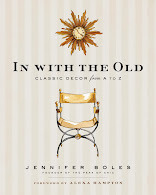 This blog is such a treat; a little morsel of indulgence to be enjoyed each day! Pamela, I'm not familiar with that Sargent painting, but I will Google it right now. What a lovely post. I don't have a sister and have surrounded myself with similarly sister-less girlfriends. I'm always fascinated by sisters though, especially in photos. Thanks for this grouping and Happy 4th! Oh wow, I love the portrait of Queen Elizabeth with the Queen Mother and Princess Margaret. I am sure QE2 looks at it fondly since they both have passed, I know I would! 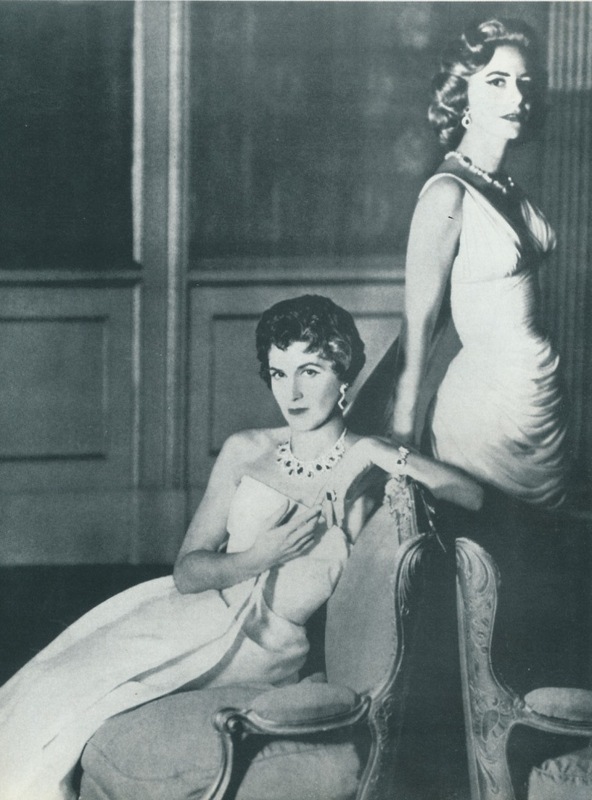 HI: I have a SIGNED book memoir of Thelma Furness & Gloria Morgan Vanderbilt! Love them-total hedonists! Les, Aren't you lucky! Their book is on my to-read list.